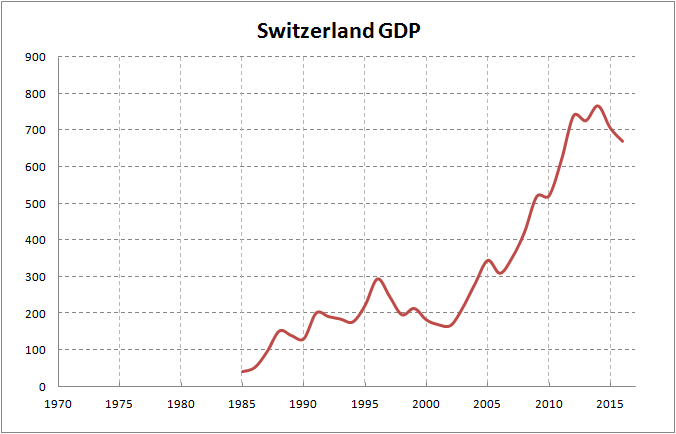 Switzerland has very significant GDP growth. It is sad to observe how is US GDP doing when you know that in 50’s and 60’s america was doing even better than Switzerland. When you compare both charts you can notice that the turning point was the year 2006. 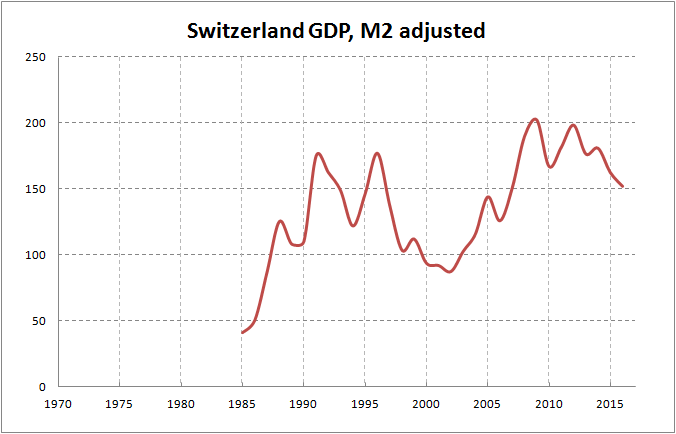 Since then US economy has collapsed while Switzerland had continued upward trajectory. Hi there, You have done an incredible job. I will certainly digg it and for my part recommend to my friends. I’m confident they’ll be benefited from this site. Wow, wonderful weblog format! How long have you ever been running a blog for? you made running a blog glance easy. The overall glance of your website is fantastic, as smartly as the content material! I will immediately grasp your rss as I can not to find your e-mail subscription link or newsletter service. Do you have any? Kindly allow me understand so that I could subscribe. Thanks. It’s remarkable to visit this site and reading the views of all colleagues concerning this paragraph, while I am also eager of getting familiarity. Excellent site. Plenty of helpful information here. I’m sending it to some pals ans additionally sharing in delicious. And naturally, thanks on your effort! Simply want to say your article is as amazing. The clarity for your submit is simply excellent and i can suppose you are an expert in this subject. Well together with your permission let me to clutch your RSS feed to stay updated with approaching post. Thank you one million and please continue the gratifying work. Genuinely when someone doesn’t know afterward its up to other viewers that they will assist, so here it takes place.